which in turn is influenced by the frictional losses in the powertrain. It’s widely accepted that one of the main benefits of using 0W-20 full-synthetic oil is the possible 1.2% improvement in fuel economy over a 10W-30 engine oil. Why is the Honda specified 0w20 motor oil more expensive? Breaking down the 0W-20 engine oil code, "0" is the oil's viscosity at startup when the engine is cold, "W" stands for its winter certification, and "20" is the viscosity at higher temperatures. Lower numbers designate thinner, lower-friction oil. The reason for the on-cost is that the 0w20 engine oil is a quality synthetic lube. Synthetic oils are known to be more stable across a wide temperature operating range, and therefore less viscous oil can be used without any accelerated wear problems or compromising the life of the engine. During the warm up phase, when the engine is running rich and the higher cold viscosity (seen by the 5w vs 0w ) requires more energy, fuel consumption is severely impacted. This is why the reduced cold viscosity of the Honda specified 0w20 motor oil plays a significant role in reducing the energy consumed in overcoming the cold frictional losses. The reason why quality synthetic motor oils are more stable through a wide range of operating temperatures, is that the oil is engineered using chemicals, unlike crude based oils which are not uniform in their composition and also contain waxes and other impurities which have a detrimental influence on lubrication. These engineered oils are uniform in their composition and besides being thermally stable also resist oxidation better than regular oils. However this superior performance does come at a slightly higher cost; although the gap between quality synthetic lubricants and regular oils is closing. Can I use a lubricant other than the Honda specified 0w20 motor oil. The chances are that while the car’s in warranty the oil change services will be carried out by the dealer, who’ll fill with the correct lubricant. The question arises when the car’s out of warranty and you’re faced with a more costly oil. There would in all likelihood be very little negative consequence if you had to fill with the more common 10w30 instead of the Honda specified 0w20 motor oil; however bear in mind that on cold startup you’re going to be paying more for fuel. Also if you use a high quality synthetic engine oil the oil change intervals can be extended, thereby also reducing the overall running costs. 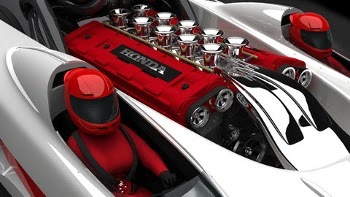 So, although compact car shoppers may not be too happy with the more expensive Honda specified 0w20 motor oil, automakers including Honda and Toyota are almost exclusively switching from well-known 5W-30 and 10W-30 oils to low-friction, and pricier, 0W-20 engine oils. The slippery low-friction oils helps squeeze every last bit of fuel economy out of the engine, but their synthetic and synthetic blend man-made origins raise the cost of routine maintenance with the benefit of improved fuel consumption, performance and extended oil life. Contact Habot Synthetic Lubricants if you need an engine lubricant that meets the Honda specified 0w20 motor oil. The only reason for time is so that everything doesn't happen at once. See the link below for more info. I have a 2013 honda civic in Pakistan where temperature in summer usually is 45c and now in these days its arround 30c. I got clear about viscosity of oil bht not clear about temperatures mentioned on oils like 20 30 or 40.... r these related to out side temperatures in which car's engine oil can perform efficiently oritsso e thing else? Thanks for sharing your thought with us, it was fun to read the article. Keep it up.